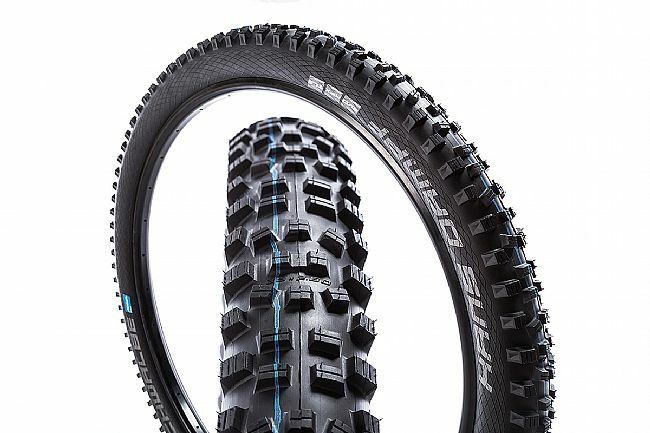 Designed to maximize both control and comfort, the Schwalbe Hans Dampf 2.6" ADDIX Tire is a do-it-all tire that keeps the fun high. 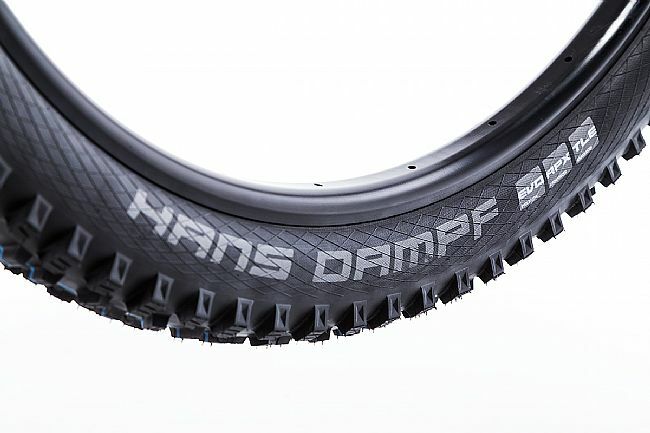 Featuring Schwalbe's versatile ADDIX compound Speedgrip rubber compound, the Hans Dampf 2.6" offers reduced rolling resistance. Featuring enough durability to stand up to serious, all-out trips through rough, ragged terrain. Versatile, all-round, do-it-all tire that rolls fast, provides optimal traction, and rides soft and supple. 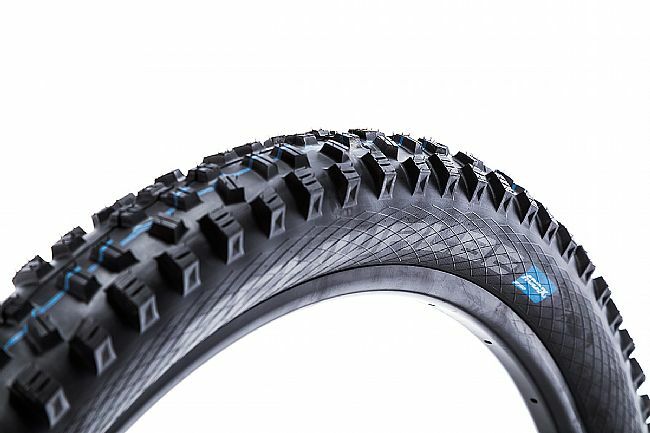 Tubeless Easy technology allows for quick, easy seating of tubeless tires. SnakeSkin sidewall protection resists tearing, punctures, and other wear-and-tear. Balanced tread pattern digs into mud, loam, silt, and moss all the same. E-25 rated for ebike use up to 25 mph.